Storing Your Vehicle During Florida’s Summer Months | Homewatch Services Etc. So you have decided to leave your vehicle in your Florida garage for the summer while you spend time in the Indiana, Michigan, New York (or wherever home away from home is) to get away from Florida’s brutally hot and humid summers. What happens if you get back to Florida in October, open up your car door, and see white mold all around your steering wheel, dashboard, and leather seats, and to make things worse…your car won’t start and you have flat spots on your tires? Did you as the homeowner do something wrong? 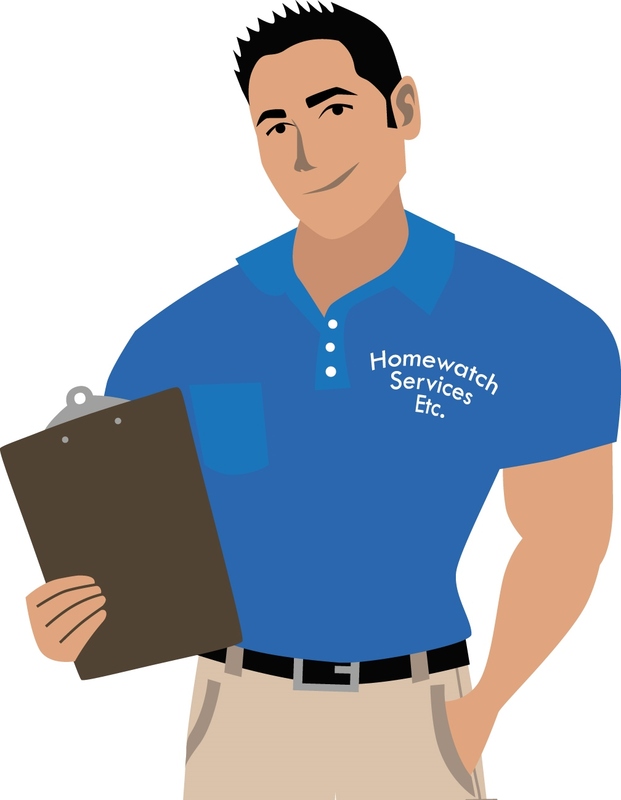 Did your homewatch guy do something wrong? What could have been done to prevent such issues? Well, when conditions are right…mold can grow and can spread very quickly in your vehicle, and your vehicle battery can drain quicker than you may think. I’m not a car expert and I’m not a mold expert…but I’ve dealt with my fair share of the above mentioned situations over the past 15 years. That being said, I’d like to share some personal tips with you that could prove to be very beneficial. If you are like most people, then you probably don’t have an air conditioned garage. If your garage is known to hold a lot of humidity in the air, then you need to get the humid stagnant air issue under control first. • Consider purchasing a box fan from a Home Depot or Lowes and setting it sturdily in your garage. Also purchase a manually programmable timer to connect the fan to. A suggestion would be to set the timer so that the fan turns on every day between 12pm and 5pm. The fan turning on will circulate the air in your garage during the hottest or most humid time of the day. Some of my clients have installed a ceiling fan in their garage and simply let in run on low. It’s a great way to have continuous air circulation in your garage. • You can also purchase a dehumidifier for your garage and program it to run when the relative humidity level gets over your desired setting. Make sure to run the dehumidifier hose so you have the end of the hose sticking out of the corner of your large garage door. That way the water can drain outside and not into your garage. Everyone has their own opinion on this…however, let me give you both scenarios. • If you leave the windows opened about 6 inches, it will allow air to circulate throughout your vehicle, especially if you install the box fan (suggested above) in your garage. Air circulating is healthy for your vehicle and doesn’t allow humid air to sit stagnant in your vehicle. It also makes it a tad harder for potential mold spores to easily settle on your vehicle’s interior surfaces and spread. Here is the issue…If your garage has a roof leak and rain water (moisture) enters your garage, the uncirculated humid air (moisture) in your confined garage can settle in your vehicle and mold can start to grow and spread rather quickly if conditions are right. The mold will start to feed on any organic material it can find in your vehicle. It usually likes leather seats and it loves dead skin cells and skin oils. That’s why steering wheels seem to get a lot of surface mold on them. • If you decide that you want to close all the windows in your vehicle, then I also recommend closing all of the vents in your vehicle. Make sure that you engage your air recirculation button before you turn off your vehicle. This will close the air intake door-vent. Keeping humid air from making its home inside your vehicle is key to helping keep your vehicle mold free! If it were my vehicle and I had to choose between keeping the windows opened or closing them…I would choose to close them. In speaking with other homewatch providers across Florida, the consensus is to close them. The other added benefit from closing your windows, is that it will deter snakes and mice from making their home in your vehicle. • Option 1: You disconnect the battery. You may lose your dashboard and radio settings, but at least your battery won’t be drained from an unknown item somewhere within your vehicle’s electrical system. It can be burdensome to have to pull out the ratchet set each time to disconnect your battery. So what some of my clients have done is to have a battery disconnect switch (some call it a “kill switch”) connected to the battery’s negative terminal. That way all you have to do is turn the knob and it disconnects the battery. Then you simply turn the knob the other way and it connects your battery again. There are several different kinds of disconnect switches. You can ask your auto repair tech which one is best suited for your vehicle. • Option 2: You connect a vehicle battery maintainer to your battery. Please note that a battery charger and a battery maintainer are NOT the same. Do NOT connect a battery charger to your vehicle for long period of time…use a battery maintainer instead. A battery maintainer is a device that connects to both your negative and positive battery terminals and plugs into your garage electrical outlet. It’s essentially a trickle charger that helps a battery maintain a charge while sitting dormant. The trickle charge is enough to counteract self-discharge, but not so large that it threatens to overcharge your battery. By using a battery maintainer, you’ll be able to extend the life of your battery. When properly maintained, your battery can last for more than five years. However, without proper maintenance, your battery may fail in less than two years. You can get a decent battery maintainer at your local auto parts store for around $25 to $60 depending on the one you choose to purchase. • Option 3: Do nothing, leave your battery as is, and hope for the best. Typically someone will choose this option because 1) they do not want to disconnect their battery and lose all their dashboard and radio settings, 2) they have a new vehicle with a new battery and think nothing will happen, 3) they don’t want to take a chance that a malfunctioning battery maintainer could (although very rare) start a fire in the garage, and 4) their service technician at a local car dealership told them they don’t need one. • Make sure the tire pressure in all 4 tires is properly filled to standard manufacturer’s recommendations and consider adding an additional 5 to 10 pounds of air pressure. Just make sure that when you drive your vehicle again, that you drop the air pressure back to manufacturer recommendations. • Park each tire on a piece of thick carpeting. This is so your tires don’t come into direct contact with the hot or cold concrete. • Have your homewatch company or neighbor back your vehicle out and back into your garage once or twice a month so that your tires are not sitting in the same spot for too long a period. Many people ask, “Should I cover my vehicle when I leave my Florida home?” A big determining factor is whether you are storing your vehicle inside or outside. • Inside Storage: If you are storing your vehicle in your Florida garage, there really isn’t much of a need to place a car cover on it unless you want to protect it from dust and dirt. However, if you decide to place a car cover over it, it is imperative that you make sure your vehicle is COMPLETELY CLEAN AND DRY before putting on the car cover. If your vehicle is slightly wet prior to putting on the car cover, then you could trap moisture between the car cover and the vehicle. Which may cause some discolorations on your paint. It may even trap moisture around your vehicle that could instigate surface mold within your vehicle. If your vehicle is dirty prior to putting on the car cover, then you could risk scratching the paint as the cover moves along the surface of your vehicle. • Outside Storage: If you are storing your vehicle outside (say under a carport), then you once again need to make sure that your vehicle is COMPLETELY CLEAN AND DRY before putting on the car cover. The kind of cover will really matter in this situation. Make sure you buy a good quality breathable car cover that keeps moisture out. The car cover should be water proof (remember…nothing is ever 100% water proof when it comes to mother nature) and be securely attached to avoid heavy winds blowing it off or causing it to tear. If the fuel in a vehicle will remain longer than 90 days, then consider adding a “fuel stabilizer” to your gas. Prior to leaving your vehicle for the summer months, add the fuel stabilizer with a full tank of gas and let the engine run for a few minutes to circulate the fuel stabilizer through all system components. The fuel stabilizer helps prevent condensation forming in the tank when temperatures change. It helps prevent gasoline from oxidizing and it coats metal surfaces to prevent corrosion. • Some quality storage fuel stabilizers can keep fuel fresh for extended periods of up to 12 to 24 months. • Be sure to get the proper fuel stabilizer for the type of fuel you are putting in your vehicle. • Remember that not all fuel stabilizers are created equal. • Always seek advice from your vehicle’s manufacturer prior to doing anything you are not certain of. • Wash your vehicle and have the interior of your vehicle cleaned out and vacuumed prior to leaving. • Have your homewatch company to do a visual check of your garage to look for signs of ceiling leaks, water intrusion, and pest or rodent issues. • Have your homewatch company do a visual check of your vehicle (flat tires, visible signs of mold, functioning battery maintainer, etc.). 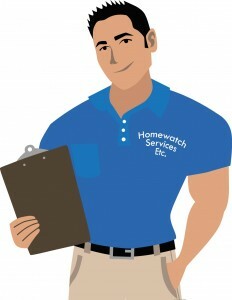 • Have your homewatch company visit your home a minimum of every 2 weeks (twice per month). One visit per month is not recommended. A lot can happen in an unoccupied or vacant home or property in 30 days. * Please note the information above are suggestions based on HWSE experiences. Each homeowner is encouraged to store their vehicle as they see fit, based on their own experiences. Do you recommend once a week to look at home & have vehicle driven is the complex for a few minutes to lubricate all motor parts. Yes…I recommend weekly visits as opposed to twice or once per month. A lot can happen in a vacant home even within 7 days. In regard to your vehicle…If your vehicle is stored properly, it doesn’t necessarily have to be driven every week. There are certain factors that come into play, like what temperature/climate will the vehicle be in? …will you be connecting a vehicle battery maintainer to it? …etc. A suggestion to consider is having it started one week and driven the following week. Scorching heat of the summer could take a toll on your vehicle. So, you have to embrace few measures to prepare your car for the days. When a car’s battery is not used for a long time, it may get drained or go flat. In order to avoid the problem, you can disconnect the cell. You should ask experts how get rid of the issue effectively. You should park the vehicle in shade to shun the possibility of paint damages. You should also lower the tires pressure. Before and after the long break, you have to consult with a pro about the car safety. Truly, I feel like a dog with two tails after unearthing such an informative blog. I just want to say that if anyone wants to store his car during the hot summer days, then first he needs to select a suitable storage location. In that case, he should go with his gut and if the storage location does not sense acceptable, then he should choose another one immediately. Then he should wash his car thoroughly and remove all the rubbish from the interior. In addition to that, he must keep all the tires properly inflated and disconnect the battery, remove it and store it in a dry location to keep it safe and long-lasting.